LCT Support Services is very pleased to become the official port agent in the ferry port of Dover on behalf of LD Lines. This is the third major port agent contract won by LCT and presents significant challenges operating in the world's busiest ferry port. LCT Dover is providing check-in and marshalling services, as well as staffing in the Dover Travel Centre for LD Lines. Dover Port operates right at the heart of the UK's and Continental Europe's cross-Channel transport network, managing and piloting what has become one of today's busiest drive-on, drive-off terminals in the world. Every year, Dover Port takes responsibility for over 14 million passengers travelling through the port, as well as other major shipping activities such as general cargo, cruising and a marina. 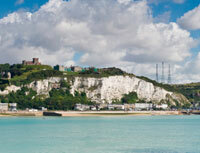 For more information please visit Dover Ferry Port.